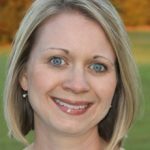 Erica Young Reitz identifies three things freshmen need to thrive and how our ministries can provide. As first year students flood our campuses, we have the opportunity to meet them at a crucial crossroads. Many of them feel excited, overwhelmed, and uncertain. Most are desperate for true friendship and belonging. It’s a time of incredible transition, and they need support. Sadly, thirty percent of these students will drop out of college after their first year. While we cannot control certain personal or institutional factors that contribute to student retention (such as their financial situation or aid package), there are thousands of ways can help first year students thrive. Let’s look at three. In Thriving in Transitions, authors Nelson and Vetter identify three key predictors for student thriving during their first year: 1) educational aspiration, 2) campus involvement, and 3) sense of belonging. Here are some ways we can help students with these three. How often do discussions about degree goal come up in our discipleship conversations with students? How about their study habits? If we’re discipling college students, talking with them about their educational goals and faithfulness to their studies should be paramount. Education is their vocation right now, and we want to help them work at their studies as an act of worship to their Creator. While we may have students who need academic support or a neon reminder to get focused, we may also have students who worship their work more than the Creator himself. We need to support students who have made an idol of academics just as much as those who are struggling or slacking off. I mentored a student, Mindy, who had a very clear degree goal (get into PA school), but she was pursing that end at the cost of everything else. In a mildly heated conversation where I pushed her on some of her decisions to ‘check out’ of everything else in life besides school, I asked, “What happens if you don’t get in to PA school? Who are you then?” It was an identity question, and it stopped it her in her tracks. She was so used to doing, performing, getting the A that she had never considered not getting in…or her identity if she didn’t. We should talk to students about what they’re studying and why. If they have no clue, we can come alongside them and help them discover it! If discussions on academic faithfulness haven’t been a part of your discipleship, check out Learning for the Love of God by Derek Melleby and Don Opitz. Also, there’s a great chapter on the topic of “Academics and Work” in King of the Campus by Steve Lutz. We don’t want first year students to spread themselves a mile wide and only go an inch deep. Some students will be tempted to sign up for so many clubs and “resume- padding” activities that they will need help discerning what to say yes to and what to say no to. In contrast to these over-busy students, we also don’t want students sitting in their dorm room every night or travelling home every weekend (if they have the option). Let’s help students find meaningful involvement on campus. There may be students who dive deeply into our groups and find their main involvement there. We should celebrate this, and we should also make sure we have not made it impossible for them to invest elsewhere. Our ministries are richest when our students interact with other students from all cross-sections of campus. Students’ involvement in other pockets of campus may be our greatest opportunity to advance the gospel in those places. As we talk with students about what they’re involved in (or why they’re not), we need to help them connect their current activity to a future goal. I often ask, “Who do you want to be at the end of this semester? How do you want to grow?” My hope is to help students evaluate their current involvement against their personal goals. Some students will pack their schedules, running from one thing to the next. Others will hang back or make little moves towards involvement. Our role is to find out why, and to help students discover a third way: meaningful engagement on campus. Campus involvement can lead to thriving in community, but Nelson and Vetter note, “…involvement predicts Social Connectedness only to the extent that the activities in which a student participates result in a sense of community.” While I’ve observed first year students who get involved and find community in their new setting early-on, I’ve also seen many who struggle. One of the biggest reasons is that they’re hanging on so tightly to a former community (family, high school friends, former church, and so on) that they fail to reach out to those around them. The ability to stay so closely connected to their prior community (through social media and cell phones) makes it hard to see the importance of forming a new one. Many students arrive at college but fail to transition to it. How can we help students truly transition and find a sense of community? We cannot control a student’s response to being in transition, but we can ask them how they’re doing. We can pursue students and pray that no first year student would be lost, lonely or without a friend. We can also look at our group and see if we are doing our part to foster deep community. Do current students welcome and include newcomers? Do we “go to” first year students rather than expect them to come to us? Do the leaders (including ourselves) demonstrate the kind of vulnerability and humility that invites others to know and be known? Let’s help first year students not only make it to sophomore year, but also to thrive in their transition, both academically and socially – and in every area of life during this year and beyond.